Roadrunner Records will release a special TYPE O NEGATIVE vinyl box set exclusively via independent retailers on Black Friday, which lands on November 25th this year. The vinyl box includes all Roadrunner released TYPE O NEGATIVE material. Each album will be issued on double green vinyl, with the album art recreated, including the controversial, rarely seen original cover of "The Origin Of The Feces". remember the CVR Blog Exclusive - At SoundStageDirect.com add the code CVR and receive 5% off of your order! In a landscape of digital music and listening devices small enough to fit in your pocket, it might be surprising to hear that vinyl records and turntables are making a massive comeback. In a landscape of digital music and listening devices small enough to fit in your pocket, it might be surprising to hear that vinyl records and turntables are making a massive comeback. Vinyl is more than just a passing trend for the young and hip crowd, and music aficionados and professionals everywhere are praising its return. Its sound quality alone trumps the digital revolution, making it a must have for working music professionals. According to industry reports, music sales saw a major drop in numbers in 2010, while vinyl record sales continued to increase. So far this year, the industry has seen a 37 percent increase in vinyl record sales alone. Major retailers play a big part in this upward trend of vinyl sales. Best Buy has recently added a large stock of turntables to their inventory. While many of the products are clearly manufactured for professional use, there are now a number of record players in stock designed to look like vintage turntables. Urban Outfitters, an extremely popular chain store with a young demographic, continues to add classic and new artist vinyl records to their music stock. This has helped younger generations gain an interest in vinyl albums. Online stores are popping up everywhere with independent sellers, buyers, and traders, and it is now a profitable big business. More and more new artists are releasing albums on vinyl. These anticipated new releases are promoted aggressively by music labels, helping both the artist and retailers. All of this is creating a huge market for online record sellers and collectors. Collecting vintage vinyl records alone has become big business, and while the digital revolution will no doubt continue to advance, the resurgence in vinyl record and turntable sales shows no signs of slowing down. Shernoff grew up in New York City, in the Queens neighborhood of Jackson Heights. He attended elementary school with Johnny Thunders and Flushing High School with the Fleshtones. After high school, he attended the SUNY New Paltz Music Department. There he started the music magazine The Teenage Wasteland Gazette, known for its sarcastic, wise-guy attitude. The publication's contributors included famed rock critic Lester Bangs, who invited Andy to write for Creem magazine. Shernoff's early profession of choice was rock journalist. Shernoff went on to become a musician, songwriter, record producer and oenophile. He is a founding member of The Dictators, one of the seminal New York proto-punk bands, for which he composed the lion?s share of the material, played bass guitar, keyboards, sang back-up and occasional lead vocals. He has been involved with a variety of other musical projects over the years, most notably the heavily Dictators-populated Manitoba's Wild Kingdom and Joey Ramone's sole solo studio album, Don't Worry About Me. In the fall of 2009, he embarked upon a series of solo shows playing songs he wrote or co-wrote and telling the stories behind them. In the spring of 2010, those shows would become "When Giants Walked the Earth - A Musical Memoir by Adny Shernoff," with several tour dates scheduled in the Eastern U.S. and Canada. Shernoff sang "California Sun" in the official Major League Baseball promotional video for the 2010 All-Star Game. Other projects include garage-rock band The Masterplan, featuring members of The Fleshtones and the Waxing Poetics. His songs have been recorded by The Ramones, Mary Weiss (of the Shangri-Las), Dion DiMucci, Carolyne Mas, Turbonegro, The Hellacopters, Drivin 'N' Cryin, The Del-Lords, Toilet Böys, Young Fresh Fellows, The A-Bones, The Nomads, The Untamed Youth, The Fastbacks, The Vikings, The Streetwalkin Cheetahs, Texas Terri, Tom Clark, The Screaming Tribesman, The Meatmen, Electric Frankenstein, The Prissteens, The Alter Boys, Metal Mike Saunders (Angry Samoans), Furious George, Corpus Christi, Jeff Dahl to name but a few. As producer he has worked with The Dictators, The Master Plan, Manitoba's Wild Kingdom, The Barracudas, The Untamed Youth, D Generation, Adrenalin OD, The Smithereens, Prisonshake, Guided by Voices, Sibling Rivalry with Joey Ramone & Mickey Leigh, The Zantees with Billy Miller and Miriam Linna, Sic F*cks with Tish and Snooky, The Kowalskis, The Figgs, and The Golden Horde, among others. As both a journalist and a musician, Andy Shernoff is often credited as "Adny Shernoff," a deliberate typo transposing the second and third letters of his name. Shernoff has never explained the reasoning behind this stylistic quirk. this is why we love records! A quarter-century ago, it seemed shiny, digitally recorded CDs would be the end of vinyl records. We'd seen the demise of the eight-track tape, and with cassettes on their way out as well, CDs seemed to be the heir apparent. Then MP3 players came along, and with them a whole new way to listen to music. It appeared records were destined to become just a distant, dusty memory. But then something happened: People started to get interested in vinyl again. Partly fueled by nostalgic baby boomers looking to re-experience their youth, and a younger generation that perhaps discovered records scouring their parents' vintage collections, there was a renewed interest in buying records. True audiophiles will tell you the sound quality of vinyl versus CDs and MP3 players is obvious. They love the sound of the needle hitting the record, the slightly scratchy timbre and the pureness of it. They say they get something deeper than they do from listening to their iPods with ear buds. iPod turns 10: Has convenience and portability made music more disposable? A cultural shift that eventually became a landslide began 10 years ago this month, though almost no one noticed at the time. Apple Inc. rolled out a portable MP3 player it dubbed the iPod, and after a promising opening quarter in 2002, sales dropped more than 50 percent. Electronic/downbeat pop duo Keep Shelly in Athens have recently announced the release date for their upcoming 12” vinyl EP, Our Own Dream, from Forest Family Records. 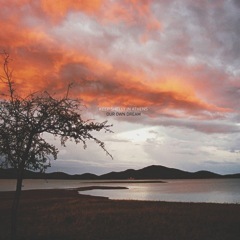 The EP is due to hit stores in a very limited release on November 8. The vinyl record release will see very limited pressings: only 500 copies will be available, 250 on silver vinyl, and 250 on white. In the 1990s, when it was assumed that the CD would quickly kill both vinyl and cassette tape as the preferred method of transmission for recorded music, Troy Bennett was still collecting records. 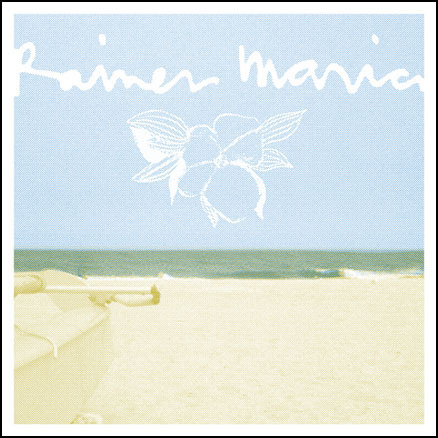 First time on vinyl for 12 Rainer Maria songs. 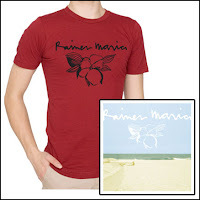 LP collects three of the band's classic EPs: Rainer Maria, Atlantic, and Ears Ring. 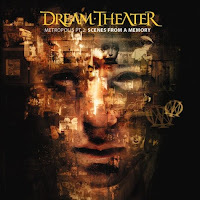 INSTANT MP3 download at checkout. Limited edition of 300 on 180-gram yellow vinyl in hand silk-screened jacket. Rainer Maria is comprised of the 12 songs spanning the band's three classic EPs -- Rainer Maria, Atlantic, and Ears Ring -- and marks the first time these songs have appeared on vinyl! The mailorder exclusive 180-gram yellow vinyl is limited to 300 copies and comes packaged in a hand silk-screened jacket featuring new artwork curated by the band. We are now offering three different package deals featuring the limited edition Rainer Maria yellow vinyl, new t-shirt design, and Caithlin De Marrais's Red Coats CD. 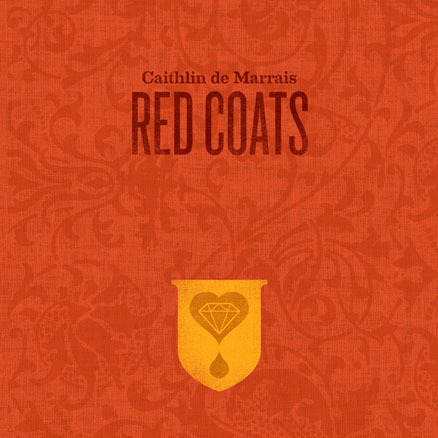 For her gorgeous second album, Red Coats, Caithlin De Marrais (Rainer Maria) spent more than a year recording demos in her basement before entering the studio with The Poison Tree's Steve Salett and Rocketship Park frontman Josh Kaufman. 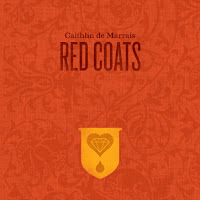 Although Caithlin wrote many of the songs for Red Coats on piano, listeners will find all manner of electric and analog keyboards on the record. These analog fuzz-scapes carry the listener over playfully idiosyncratic drum loops, while the softly sung vocals that beckon you into the record later turn into the primal belts Caithlin was known for in Rainer Maria. 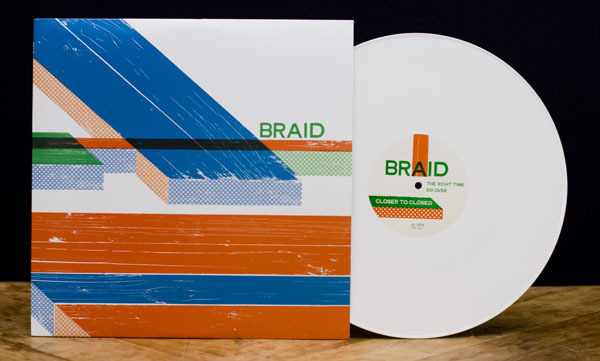 the last remaining white vinyl copies (limited to 1000) of their brand new EP Closer to Closed. Someone Still Loves You Boris Yeltsin's new album Tape Club hit stores Tuesday. 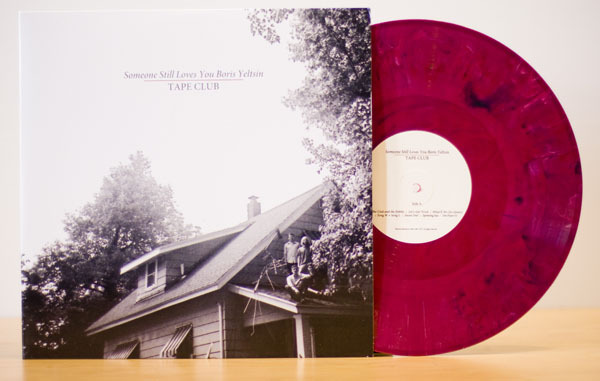 The maroon vinyl pictured above is exclusive to our mailorder is limited to 500, but less than 60 still remain. Make sure to get one before they're gone! All orders receive a FREE button and sticker along with an instant full-album MP3 download at checkout. The record has been getting rave reviews from all over the blogosphere, with Music OMH calling Tape Club "...a treasure trove in which longtime fans will find plenty to fawn over... [and] a more than fitting introduction to the band for newcomers." In 1961, Chubby Checker appeared on the "Ed Sullivan Show" and performed "The Twist." In 1964, The Who, then known as the High Numbers, auditioned for EMI Records, who turned them down. "Get Off My Cloud" was released in the U.K. by the Rolling Stones in 1965. 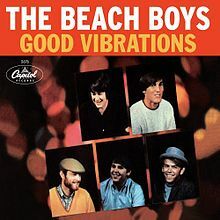 In 1966, the Beach Boys' "Good Vibrations" made its debut on the US singles chart. It was a song that Brian Wilson and Mike Love wrote and Brian spent six months working on. The tracks were recorded in seventeen different sessions in four Los Angeles studios, at a cost of over sixteen thousand dollars. The recording engineer would later say that the last take sounded exactly like the first, six months earlier. The record would reach number one on December 10th 1966 and be nominated for Song Of The Year at The Grammy Awards, but lost to "Winchester Cathedral" by The New Vaudeville Band. In 1966, according to Cashbox Magazine, ? And The Mysterians had the best selling tune in America with "96 Tears". The song has since been ranked #210 on the Rolling Stone list of the 500 Greatest Songs of All Time. Also in 1966, the Supremes became the first female group to have a number one album on the US chart when the LP "Supremes A-Go-Go" reached the top. It knocked The Beatles' "Revolver" from the head of the list. In 1969, Paul McCartney publicly denies rumors that he is dead. The most recent of many "clues" of this Death Hoax was the fact that he was the only barefoot Beatle on the newly released "Abby Road" LP cover. The story was actually started as a prank by Fred La Bour, a sports and arts writer for the student paper, The Michigan Daily at the University of Michigan. In 1969, American singer Tommy Edwards died after suffering a brain aneurysm in Henrico County, Virginia, at the age of 47. Had the 1958 U.S. & U.K. #1 single 'It's All In The Game'. "Hotter Than Hell was released by KISS in 1974. It was the second album to be released by the band. In 1976, Keith Moon performed for the last time with The Who. In 1979, the Pretenders started a run of four consecutive Monday nights at the Marquee Club in London. In 1988, Elton John sold out Madison Square Garden for a record 26th time. Also in 1988, Phil Collins's cover version of "Groovy Kind Of Love" topped the Billboard singles chart. The song had also been a US number one hit for The Mindbenders in 1966. In 1989, English folk singer, songwriter, poet, and record producer Ewan MacColl died aged 74. He wrote “Dirty Old Town” and “The First Time Ever I Saw Your Face,” a #1 hit for Roberta Flack in 1972). Acts including Planxty, The Dubliners, Elvis Presley and Johnny Cash recorded his songs. He was the father of singer and songwriter Kirsty MacColl. In 1990, Pearl Jam played their first ever concert when they appeared at the Off Ramp in Seattle. In 1992, Members of Boyz II Men receive awards for having the longest running #1 song of the Rock era. "End Of the Road" broke Elvis' record of 11 weeks, previously held by "Don't Be Cruel / Hound Dog". In 1996, sales figures were released that showed that the Beatles sold 6,000,000 albums from their back catalog and a combined total of 13,000,000 copies of "The Beatles Anthology 1" and "The Beatles Anthology 2". A poll revealed that 41% of sales were to teenagers who were not even born when The Beatles split up in 1970.